This is .22 Long Rifle Eley Sport Standard Velocity 40gr. Lead Solid Point Ammo. 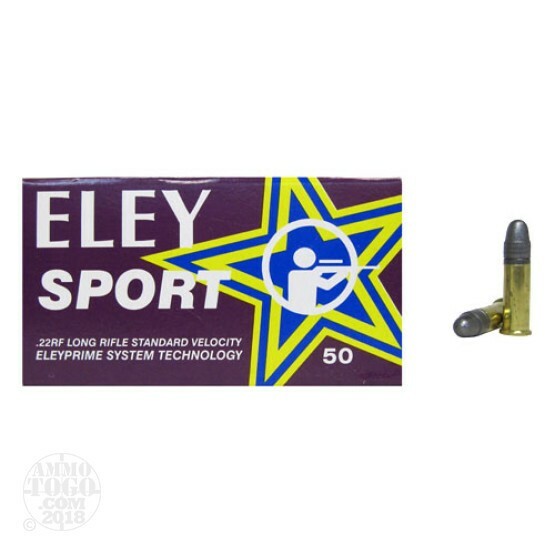 This ammo is marketed by Eley, so you can be assured that it is premium quality ammo. When you want the best, shoot Eley ammo. This ammo is packed in 50rd. boxes, 500rds. per brick.